“What’s old is new again.” “What goes around, comes around.” Both well-worn adages will be proven true once again when “The Typewriter Revolution,” a celebration of vintage machines, rolls into Auburn’s State Theater on October 27. This five-hour event will kick off with an exhibition of more than 50 manual and electric typewriters at 4 p.m., followed by an on-stage interview at 6 p.m. with Richard Polt, author of “The Typewriter Revolution,” moderated by KCRA’s Edie Lambert and organizer, Gary Moffat of Auburn. 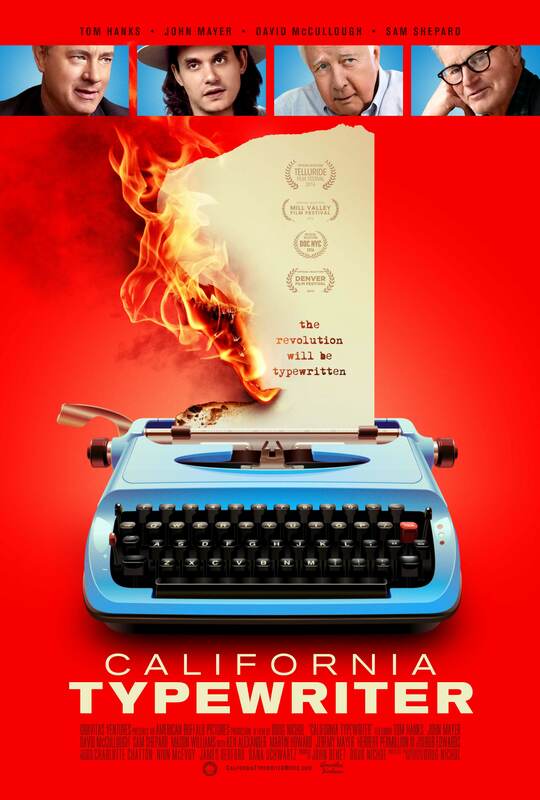 The evening will conclude with the 7 p.m. screening of the documentary film, “California Typewriter,” featuring Tom Hanks, David McCullough, Sam Shepard and John Mayer. The 340-seat State Theater, carefully restored to its 1937 condition—including a period-correct neon marquee—is located at 985 Lincoln Way in Auburn. Tickets for the event are $25 (including theater fee) and are available online at www.livefromauburn.com (scroll down to event). 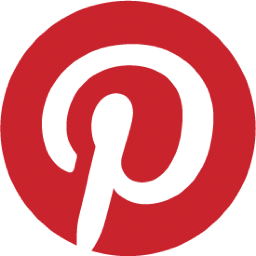 There are many reasons for this resurgence of interest in old-school, vintage machines: many people who are simply overwhelmed with digital intrusions in their lives have come to embrace disconnecting from the Internet. Writers are especially keen to free themselves from the constant distraction of email alerts and news breaks. The exhibition, curated by Ole Kehlet, owner of the last typewriter shop in Sacramento, will feature machines manufactured in the late 19 th century through the early 1970s, and it will include U.S. brands such as Royal, Smith Corona and Underwood, as well as international makes: Hermes from Switzerland; Olivetti from Italy; Adler, Triumph and Tornado from Germany; and many more. There will also be three IBM electric machines on display: a 1933 model, the first year of production; a 1971 IBM Selectric, the first model year of production; and a 1985 IBM Selectric, commemorating 50 years of production and originally only available to IBM employees. At 6 p.m., Lambert and Moffat will moderate a discussion with Richard Polt, a true Renaissance man. 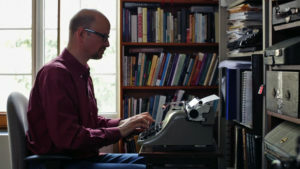 In addition to writing “The Typewriter Revolution,” he is recognized as a leading authority on vintage typewriters; he owns a typewriter repair business in Cincinnati; he edits a quarterly enthusiast magazine, ETCetera; he is chair of the philosophy department of Xavier University in Cincinnati; and he has a leading role in the “California Typewriter” documentary. 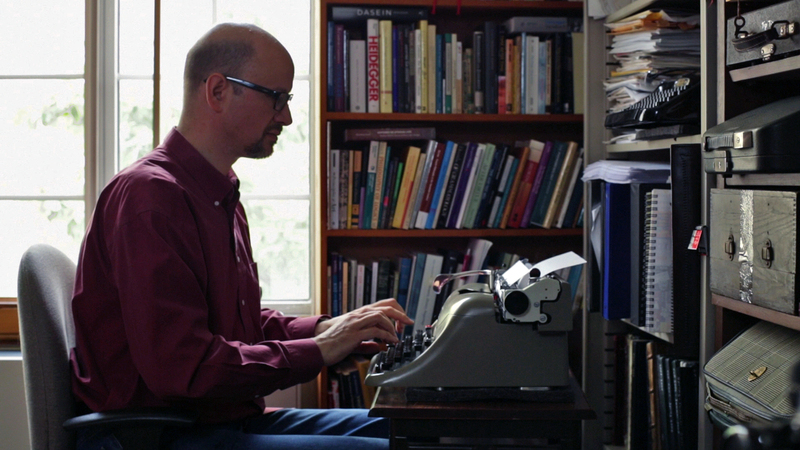 “We’ll discuss the unusual ways people are using typewriters that Richard presents in his book,” Moffat said. “And he’ll explain the thinking behind his concept of “The Typewriter Insurgency, Manifesto for a Movement,” his notion that “We choose the real over the representation, the physical over the digital, the durable over the unsustainable, the self-sufficient over the efficient.” That’s radical thinking in the digital era! 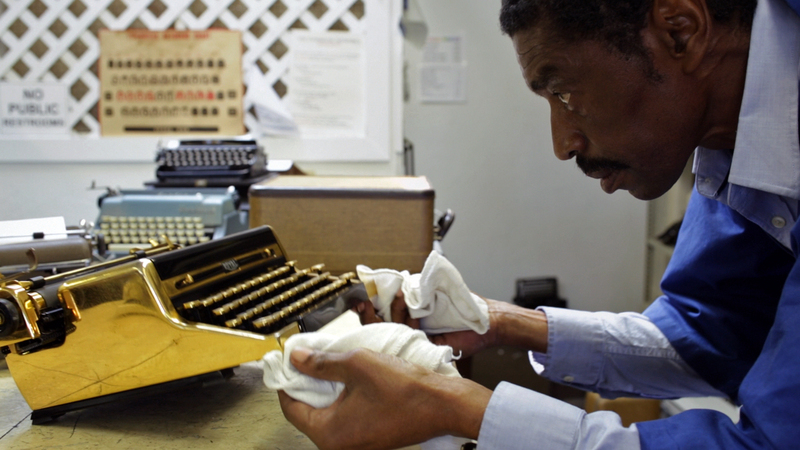 “California Typewriter,” screening immediately following the Polt interview, is a documentary portrait of artists, writers, musicians and collectors who remain steadfastly loyal to the typewriter as a tool and muse. It also tells the story of the struggles of Berkeley-based California Typewriter, one of the last remaining shops in the Bay Area, and it introduces oddities connected to machines. . .an all-typewriter band, an artist who creates beautiful sculptures ​ from salvaged typewriter parts and a poet who composes in public on a vintage machine. View a trailer of the film at www.californiatypewritermovie.com. •A “type-in” where guests are welcome to use selected machines. 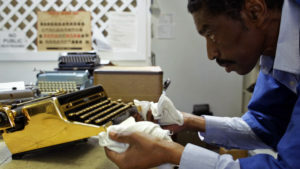 •Guests will be invited to take the Underwood typing test, and the winner will receive a refurbished vintage typewriter. •Guests will be invited to submit a “10-Word Story,” to be typed on a sheet of paper and displayed during the event. 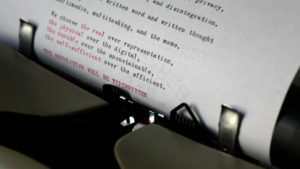 The winner will receive a refurbished typewriter and the top three entries will be published online at www.dimeshopreview.com, edited by Kae Sable, as well as in print in her Folsom-based literary journal. •A “staff poet” will compose short poems—typed on a manual—from ideas suggested by participants. •A limited number of typewriters will be available for sale. All proceeds for the evening will be donated to the renovation of Herschel Young Park in Old Town Auburn. 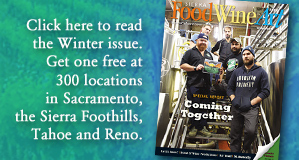 For more information and updates, go to www.facebook.com/typewriterevent.